Travellers faced a delay at Aberdeen Airport this morning after climate change protesters caused chaos at Heathrow. 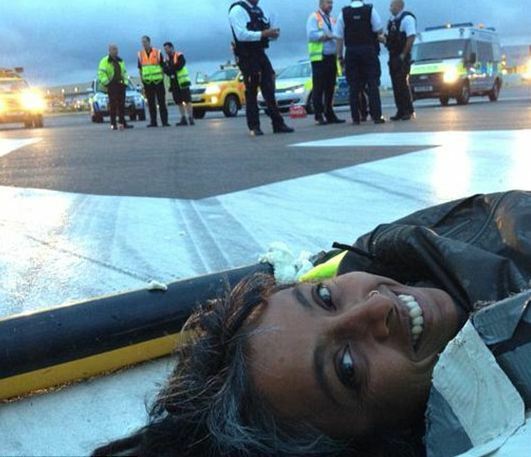 An early morning flight from the Granite City to London suffered a “minor delay” after the activists set up camp on one of the runways. A dozen members of the group, Plane Stupid – who are opposed to plans for a third runway – cut through a perimeter fence around 3.30am and then sat on the northern runway. They posed for selfies while police tried to prise them apart and drag them off the Tarmac. Police have said Heathrow could lose millions of pounds after it was forced to divert and cancel some flights. A spokeswoman for Aberdeen Airport said one Heathrow-bound flight this morning was delayed for a short time.